(Please indulge a brief rant) A few weeks ago, I saw a Christian TV show on a cable network and they were interviewing a dynamic bubbily woman who told an interesting story. They posted a link to her website and I later went to it to hear more from her. There was very little content freely available but she did offer MP3 downloads of her messages for $10 each. I mention this because the thing I’m about to share is something I had to work very hard to learn – Im sure I had face to face conversations with hundreds of women to discern the subtleties necessary to understand this…if ever I was going write up a little booklet to sell for $9.99 (plus postage and handling)a longer version of this might be it…but I’m not going to. Please pay it forward and do your very best the next time you care for a lady suffering a loss. When a baby dies, there are so many terrible emotions starting the second the gravity of the situation is known. Like most people when I first started doing this work, the swirling soup of feelings and reactions from the parents (and secondarily the staff) is so overwhelming that it is hard to tell one cause from another. There is shock, sadness, grief, fear, trepidation, regret, blame, anger to name a few of the issues causing pain. After speaking with many many ladies in the immediate wake of learning their baby has died, I have recognized a certain pattern that has helped me know better how to care for them. Out of the above list … pull out sadness and fear. The lady herself will not likely be able to discern one intense emotion from another early on, but it can help to assist her in trying just a bit. I have come to see that much of fear comes from “the unknown” and there is something that can be done to help that. Sadness in that stage of grief can only be acknowledged and honored and in doing so you give her the gift of respecting that its real and big and difficult. You can’t fix “sad” but if you learn what “unknown” might be making her afraid then you can eliminate much of that fear. Once fear is minimized, she can better handle “sad”. In my conversations with ladies, I have to be really careful to make sure I can give them enough information to minimize fear without overwhelming them with details that they don’t yet need. I pay very close attention to their faces because right when they hit “information overload” they will immediately avert their gaze and their expression changes. So what causes them the most fear? In early conversations, there are 3 concerns that are often voiced by those who can put actual words to their questions, but mostly I get really quizzical looks from ladies who have ideas in thier heads and they cant form the question with words. In those circumstances, I say (addressing the first common fear/concern) “very often when I speak to a new person (couple), they are quite concerned about what will happen the baby once s/he is born”. 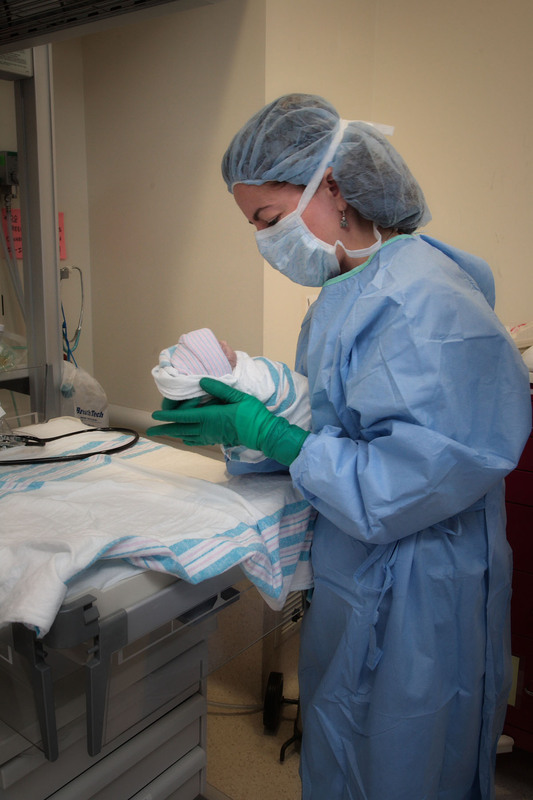 I explain that the priority for the delivery is the health and pain control for the mom. The baby will be set aside gently just until we care for you, get the placenta delivered and make sure your bleeding is OK. After you are settled then we can focus on the baby. It is our standard to weigh, bathe, dress and wrap each baby in a handmade blanket. If you want to do/help with the bath, that is fine. Once s/he is bundled you can choose to hold and see him/her and keep him/her in the room with you as long as you like”. I have had ladies say “I thought when the baby came out you would just throw it in the trash can” and ” I laid awake last all night terrified of what would happen to my baby’s body”. If your patient had been harboring those kinds of thoughts/fears, just imagine how much better they will feel when you explain the dignity you will use in caring for their baby. Lastly, I find that people will specifically ask what happens between the room and the burial. I give an explanation of the logistics of who goes where how and when. I’m very careful to not assume they know anything and to use very gentle words (“safe secure holding area” not “morgue”). If your hospital has not figured out a graceful way to handle this logistical challenge, go to Memories Unlimited and see their Preshand System. I often show them the clothes we will use and the basket that is used for transport so that the nurturing real things we use can start to replace the fearful uncertainties swirling in their minds. I had one lovely family come unglued in the hall very suddenly after a period of relative calm. I asked them what they were so upset over and they said “you are going to bring up a big metal box to put her in and we don’t want to see that”. I said “No, I will transport her in this pretty basket, see…look” and they calmed down instantaneously. Fear mitigated, calm restored – even when sadness wasn’t going anywhere. I was giving a talk to Nursing Students today and I spoke about this and I held up both hands and said “imagine I had sadness in this hand and fear in this one” …dang the visual really seemed to work nicely. When my folks start to really heal they will refer back to their experiences and they tell me that they felt sad but nurtured, not afraid.